(CBS/AP) The U.S. government announced it will pay health care costs for 50 types of cancer that may have developed in people who worked at ground zero in New York. The conditions were added to an updated list of World Trade Center-related illnesses covered under a Sept. 11 health program. Democratic New York Senators Kirsten Gillibrand and Charles Schumer issued a statement with the National Institute for Occupational Safety and Health (NIOSH) on the change Monday. "It took too long, but the right thing is finally being done for 9/11 heroes,"Sen. Charles Schumer said in a statement to CBS New York station WCBS. In June, officials at NIOSH had said in an administrative filing that it favored a major expansion of the Zadroga act to include people with the different cancer types that span 14 broad categories of the disease. The decision followed a March recommendation by an advisory committee made up of doctors, union officials and community health advocates, who recommended that cancer be added to the $4.3 billion program. Previously, the aid only covered people with a short list of mostly less-serious ailments, including asthma, acid reflux disease and chronic sinus irritation. "It's a great decision for anybody suffering from cancer," Sean Riordan, an attorney who represents hundreds of rescue workers who developed cancer sine working at ground zero, told WCBS. 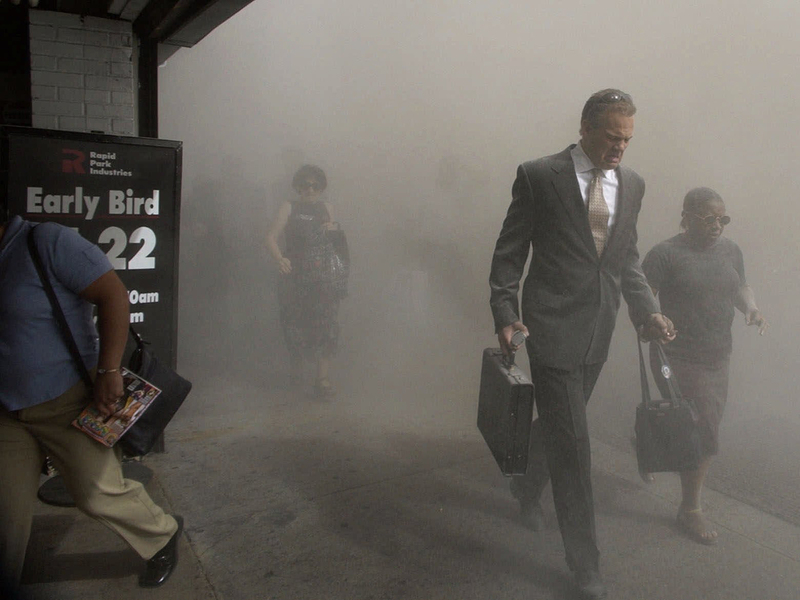 Following the 9/11 attacks, first-responders and nearby residents and workers were subject to high levels of dust and smoke filled with harmful substances like jet fuel, asbestos and other dangerous chemicals. Scientists say there's little research to prove exposure to toxic dust from the destroyed Twin Towers caused even one kind of cancer. But the advisory panel said it was plausible that first responders and others who were exposed to the toxic dust might get cancer. Also last September, a comprehensive study in The Lancet found firefighters working at the World Trade Center had 10 percent more cancers than the general public and 19 percent more than firefighters who weren't involved with 9/11. Dr. David Prezant, chief medical officer of FDNY, and the lead study author of the Lancet report told the CBS Evening News at the time that the association was moderately strong. "The biggest surprise was that cancer increased," Prezant said at the time. "But that increase is real and now we need to address it." According to CBS New York, first responder advocates call the announcement a good first step but are concerned there won't be enough funds to cover thousands of others who may potentially be diagnosed with cancer in the future. "There simple isn't enough money," attorney Michael Barasch told the station. "There are so many rescue workers with debilitating diseases and they're simply not going to get a fair amount."